LIMA, Peru (AP) — Dozens of international groups, the United Nations, and even Peru's own citizen ombudsman are objecting to a new law that weakens environmental protections in the Andean nation even as it prepares to host international climate-control talks this year. 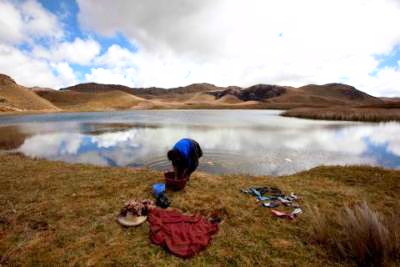 The law, aimed at increasing investment, strips Peru's six-year-old environment ministry of jurisdiction over air, soil and water quality standards, as well as its ability to set limits for harmful substances. It also eliminates the ministry's power to establish nature reserves exempt from mining and oil-drilling. 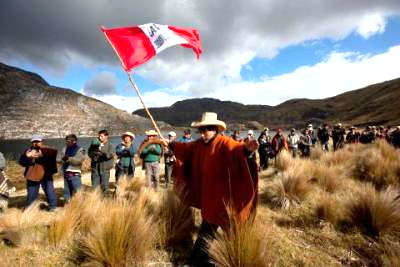 The law stipulates that Peru's environmental protection agency occupy itself for the next three years more with "preventative" than disciplinary actions. Peru's economy depends heavily on mining, which accounts for about 60 percent of export income. But after a decade of annual growth rates averaging better than 6 percent, its expansion recently slowed with softening global demand for metals. Over the past decade, Peru has reaped some $38 billion in mining investment. Government officials argue that easing environmental regulations will spur investment. But they have offered no specifics. Peru's finance, mining and environment ministers were not made available for interviews despite repeated requests by The Associated Press. Environmentalists say it's not overregulation, as government and some industry officials argue, but rather lower global commodity prices that are hurting the economy. "I can't think of a single example of a project that has been frozen by an excess of red tape," said de Echave. The U.N.'s top official in Peru, Rebeca Arias, wrote the foreign minister on June 26 objecting to the new law. She said "a growth model spurred by investments respectful of the environment is the only viable possibility for sustainable development in a country like Peru, which is among the most vulnerable to the effects of climate change." Peru's national ombudsman, Eduardo Vega Luna, similarly objected in a letter to Congress' president. Some critics say the law violates Peru's free trade agreements with Washington and the European Union, which stipulate that environmental protections cannot be weakened to spur investment. Asked to comment, spokespeople the United States and E.U. said officials were studying the measure. 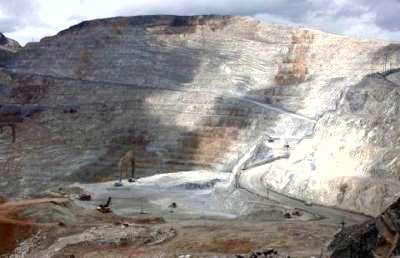 Peru's environmental watchdog is under attack on a second front by the mining sector, which has filed lawsuits that could further dilute its enforcement powers. "We would basically have to return to a scheme of limiting ourselves to something on the order of visual inspections," said OEFA's chief inspector, Delia Morales. "Every time that a kind of hidden tax — like this contribution to OEFA — is imposed, our company's sustainability is affected," said Javier Velarde, Yanacocha's general manager. While a new law enacted last year boosted top fines to $40 million, OEFA's director, Hugo Gomez, said big fines are rare — with $90,000 the average for the 941 fines levied over the agency's lifetime. Some transgressions aren't even fined.